The inbox.lv developers continues its work on the app updates. The new version of iOS mobile app contains not only technical fixes and improvements, but also a lot of new and long-awaited features. One of the most important changes, the work on which took a lot of time, the ability to attach not only pictures from the gallery, but also other files such as .PDF, .DOCX. In addition to file operations, there is an attached file preview right in the app without additional downloads. There is also changes related to outgoing mail. The old limit of outgoing email is increased from 20MB to 50MB, which is also offered in the web version of mail. There are also minor changes in the swipe function. Users have missed the “Mark as important” action, now there are only two functions left for swipes: “Delete” (swipe from the right) and “Mark as read unread” (swipe from the left). 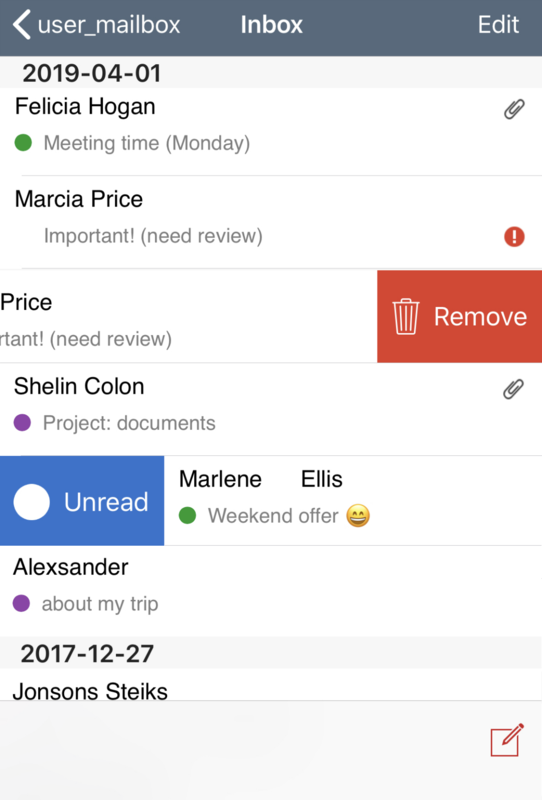 A new swipe realization enabled the option “Undo deletion“, which will be displayed in a pop-up window at the bottom of the screen immediately after deleting the message. It should be noted that this option applies only to the last deleted message. If messages are deleted one by one, then only the last one will be restored. But if several messages were marked in the list and all were deleted together, then “Undo” will return all previously deleted messages back to the folder. We have also added some new icons. Unread messages are marked with a blue dot, answered with green and forwarded with purple. In this version, special attention was paid to errors that caused inconvenience to daily work with mobile mail: sender’s name next to the email address has been added; fixed symbolic e-mail addresses recognizing; adaptation of the long folder name in the folder`s list and other improvements. If you haven’t updated the inbox.lv mobile version yet – it’s time to do it! The latest version of the app is already available in the App Store! Don’t forget to leave your feedback and offers – email us – feedback@inbox.lv or use the feedback form in the app. This entry was posted in About our products, News and tagged email, Inbox.lv, mobile, mobile_iOS, update. Bookmark the permalink.